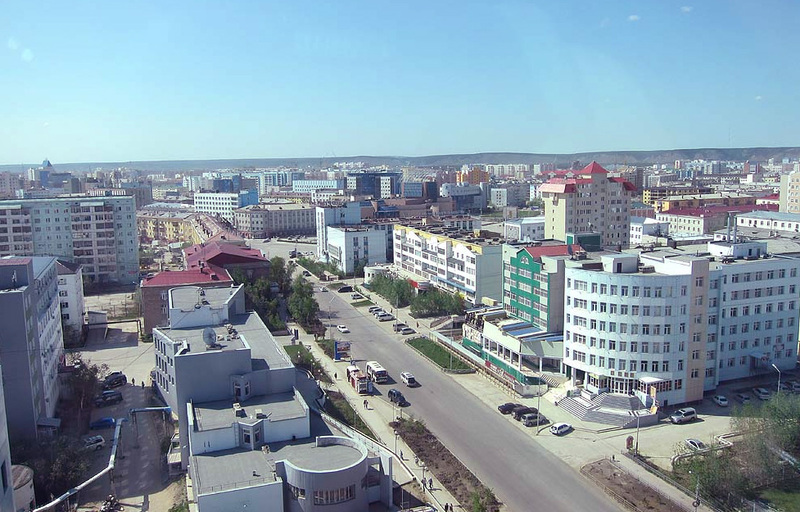 Yakutsk is the capital city of the Sakha Republic, Russia, located about 450 kilometers (280 mi) south of the Arctic Circle. Population: 269,601 (2010 Census). Yakutia is known as the birthplace of mammoths, precious stones and, as one of the coldest places on Earth. 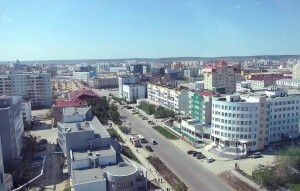 The capital of the republic, Yakutsk, you can not see with the “traditional” side – in the winter version, and in the summer. In summer, the city is changing: instead of the 50-degree cold and thick fog – a red-hot from the heat of asphalt and around the residential development – the endless forests. Where to taste traditional food, to buy diamonds and see mammoth. 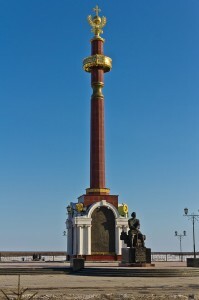 Yakutsk is a major port on the Lena River. It is served by the Yakutsk Airport as well as the smaller Magan Airport. It is a major supplier of diamonds. Its population is almost 300,000 and its average winter temperature is −34 °C (−30 °F). Yakutsk is the coldest major city in the world. 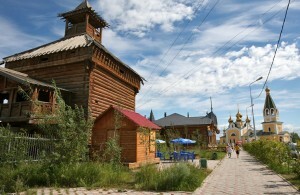 The journey can start with the so-called Old Town, located in the center, on the old waterfront Yakutsk. Tourists are surprised wooden fixings, for which it is pleasant to walk after the concrete sidewalks, old-style buildings that literally transport you to a few centuries ago. 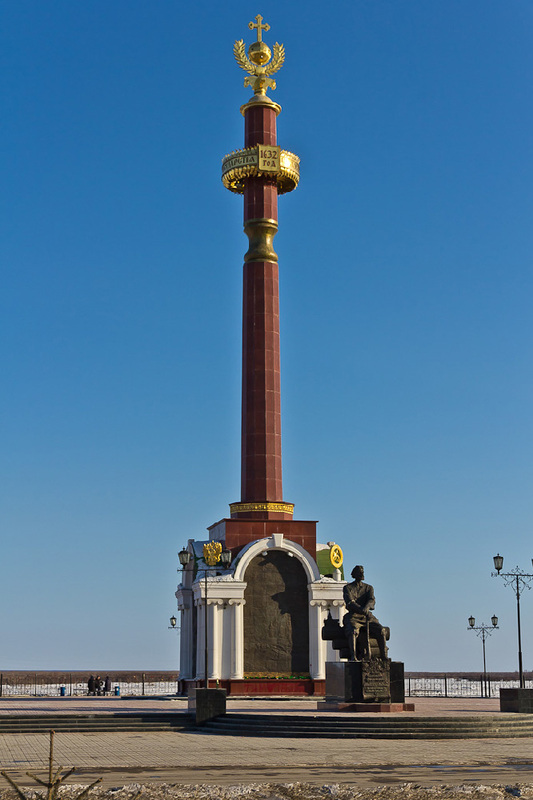 The city was founded in 1632. From standing on the waterfront Lena Yakutsk beautiful views. City breaks like here, only on possession of untouched nature. According to the ancient Yakut legends, all that exists is composed of three worlds: the higher they live Aiyy (deity), the underground world inhabited abaasy (evil spirits), and the middle of the world, which is inhabited by people and animals. 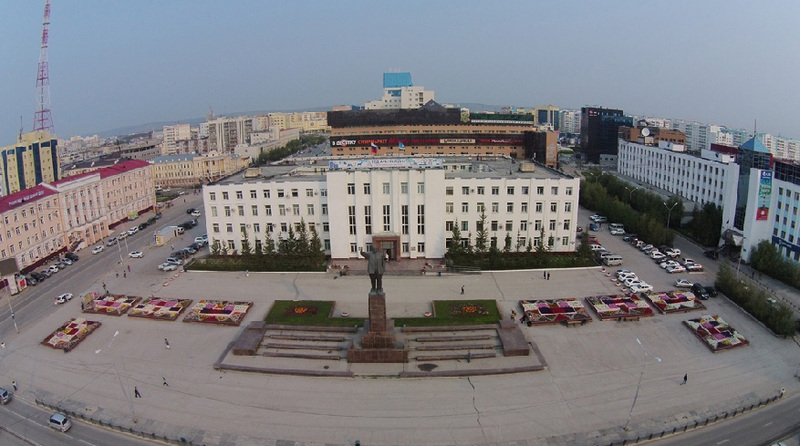 There are several theaters in Yakutsk: the State Russian Drama Theater, named after A. S. Pushkin; the Sakha Theater, named after P. A. Oiyunsky; the Suorun Omoloon Young Spectator’s Theater; and the State Academic Opera and Ballet Theater, named after D. K. Sivtsev. There are a number of museums as well: the National Fine Arts Museum of Sakha; the Museum of Local Lore and History, named after E. Yaroslavsky; and the only museums in the world dedicated to the khomus and permafrost. 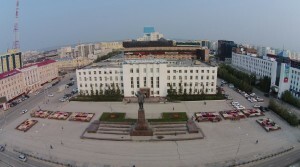 In Yakutsk, several theaters: State Opera and Ballet Theatre named after the great writer Yakut Suorun Omolloona, State Academic Russian Drama Theater named after Pushkin and the Sakha Academic Theater Oiunsky – founder of Yakut literature. The latter is considered a major national theater of the Republic, specializing in staging dramatic performances. Lena Pillars, also known as the “Stone Forest”. Astounds its forms cliffs are 200 kilometers away from Yakutsk in Khangalassky area. If you get to one of the viewing platforms, you can see the Lena River with a bird’s-eye view. Here, by the way, the objects of cultural heritage have been found – the oldest cave paintings and tools. Fans of mystical and sacred places will certainly need to go to the mountains with a strange name for a Russian ear Kisilyakh that the Yakut means “stone people”. His name has received the top of an ulterior motive: afar located here really rocks resemble huge human figures, which are supposed to protect the silent nature of the cold edge. As the local legend, in this place the top of the deity Aiyy live, and people who have visited the mountain, can be cured of various ailments.